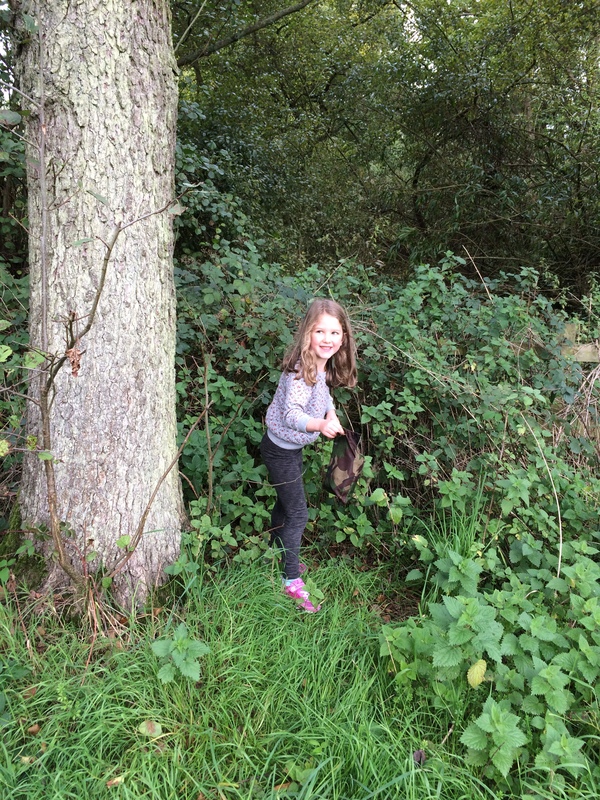 One of my grand-daughters has a sleepover with us on a Friday night and recently Saturday mornings have seen us all go out searching for a Geocache (weather permitting). She chose her own ‘handle’ whilst staying with us last year and goes under the name of HoneyRobbinn. Today was no exception and we had earmarked a multi-cache only 1.1 mile from our home which we had been leaving for just this occasion. 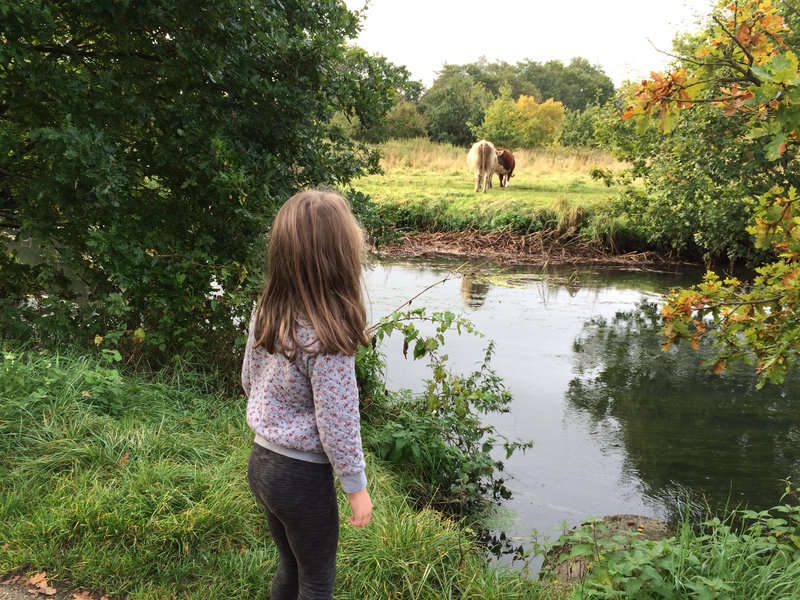 LKF’s 40th Birthday Cache was situated along the River Blackwater at Shepherd Meadows which is part of the Blackwater Valley Site of Special Scientific Interest due to important meadows and wildlife. 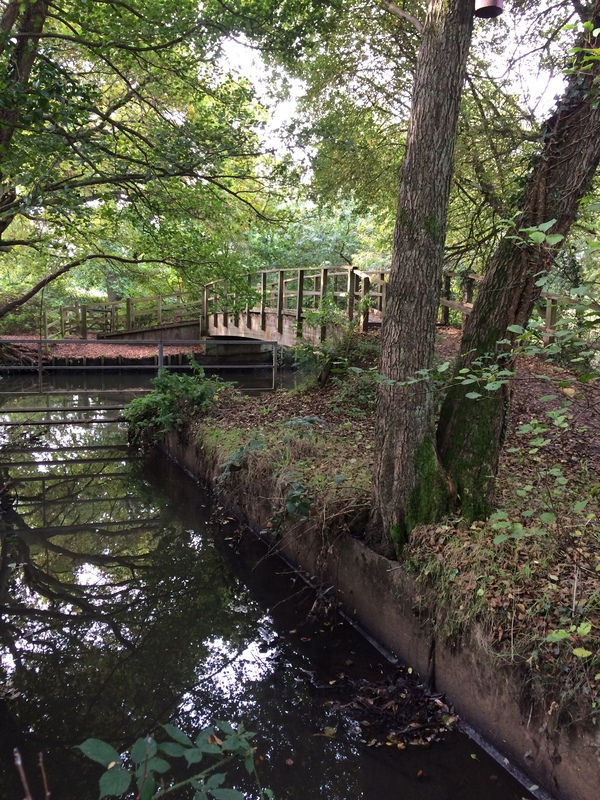 The Meadows is named after wildlife artist David Shepherd and consists of 40 hectares (100 acres) of wet meadows and woodlands managed by Bracknell Forest Council for its wildlife value. There was a perfect little car park right at the start of the series and I drove in to find it quite full as we had arrived as a group of ramblers were about to start their hike. Needless-to say I was watched by probably fifty or so walkers as I reversed in to the only available slot. Why do people always stand and watch when someone has to get their car into a most awkward little space ? I was quite chuffed that I managed it in one manoeuvre! We left the car park with HoneyRobbinn gaily leading the way towards our first stage – looking for a telephone number on a notice board. 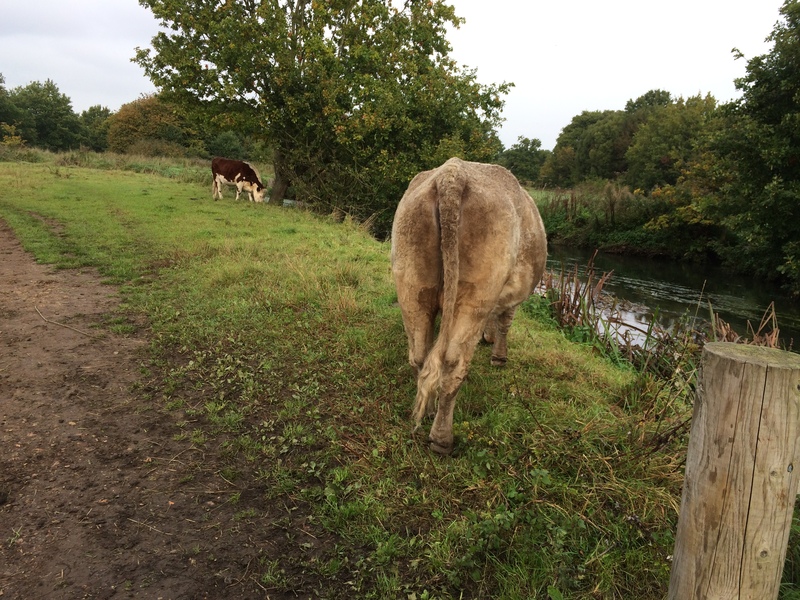 The path along the River Blackwater was really pretty and our little grand-daughter was pleased that the cows were on the other side of the river – little did she know …… She soon spotted a notice board in the distance and had worked out the number needed before we arrived. Well done! The next stage involved looking for a wooden jetty and locating another telephone number. The first jetty we came across was the wrong one – still about 150m to go on the GPS – so on we went until HoneyRobbinn spotted another jetty which thankfully had the number required. Two numbers down, another four to go before we could work out the final co-ordinates of a cache which HoneyRobbinn was hoping would contain “treasure”. Note to self: wear welly-boots next time near to a river and on flood plains !! 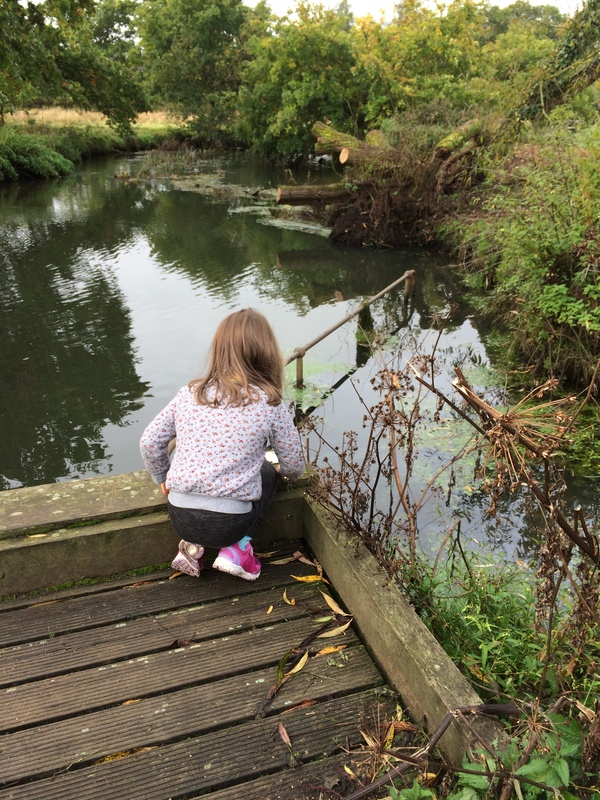 The directions for this multi-cache were extremely good, especially for a five, rising six-year-old – “continue walking along the river and you will get to a fork in the path where you continue to the left. When you get to the next junction where 4 paths meet you need to turn left and over the wooden bridge which takes you across the river…..” We were eagerly directed which way to go and barely needed the iPhone. HoneyRobbinn spotted the bridge in the distance and by the time us ‘old-folks’ had arrived at the bridge, she had spotted the little plate niftily hiding on one of the uprights. This time we had to count the number of letters in the town of manufacturer. Three down and three to find. Over the bridge, we had to turn left and start walking in the direction we started from but on the opposite side of the river this time. Arriving at a kissing gate we met a dog-walker who very kindly informed us that if we walked back along the river on that side, we would be walking through the field of cows – much to HoneyRobbinn’s dismay. We explained the reason we wanted to walk that side and he said, with a wink, that we would be perfectly alright unless we were wearing a grey jumper or pink trainers. You should have seen HoneyRobbinn’s face when she realized that was what she was wearing. He then proceeded to tell her that the worse thing that could happen was that she might fall in a cow pat; the cows would move out of our way! With HoneyRobbinn safely holding my hand we soon found the next clue – the number of long metal bars in a fan shape above a metal pipe crossing the river. No cows in sight at the moment, but perhaps I shouldn’t have thought that too soon as around the next corner we came across the cows. There weren’t many and the first two moved out of the way, but the third cow was happily munching from a tree and she had wedged herself into the kissing gate and there was no way we could see of getting her out, she was far too interested in eating the tree (and I thought cows grazed on mostly grass!!). Not to be outdone by a cow (brave words) I pointed to the wooden fence a few feet from the kissing gate and told HoneyRobbinn that we could easily climb over it. She was over it in a flash, but CockRobbinn and I took a bit longer as we were a bit more wary as the silly cow was trying to back out of the kissing gate, probably put off her mid-morning snack by us. By the time we were over the fence she had extricated herself and was wandering back down the path without a care in the world. Stage five meant finding a telegraph pole which was extremely easy as there was only one in the area but HoneyRobbinn was at first disappointed as she couldn’t find the numbers – 119E – underneath the word “Danger”. 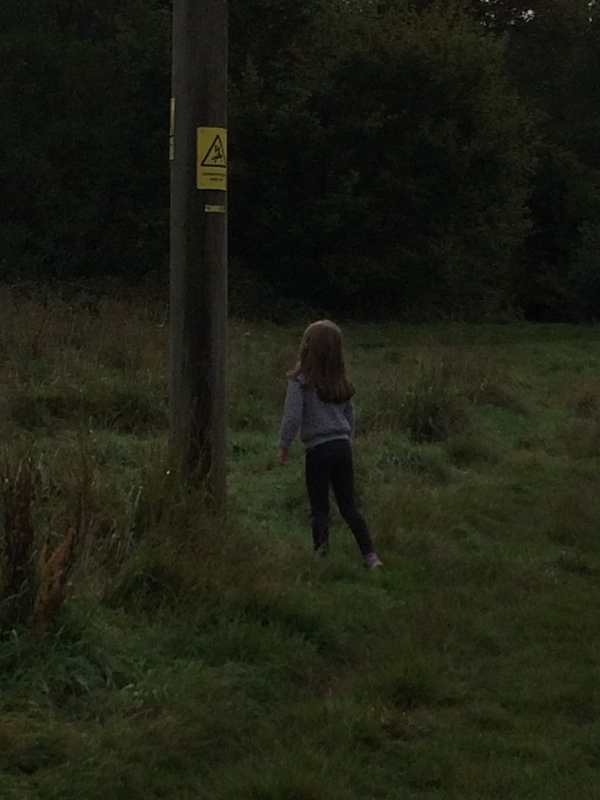 All three of us walked around and around the pole but the only numbers we could see were different to what we needed. About to give up, Cockrobbinn glanced up and saw the number we needed much higher up the pole. HoneyRobbinn danced a jig in the middle of the field and thought Grandad was the best!! The last number we needed was the hardest to find. Once at GZ the clue was to turn around and look to the left towards the railway line where we should be able to see a large round sign with a letter on it. This letter is the 2F of the alphabet. Being a bit dim, we were looking for a sign with a number on it and almost overlooked the sign with a great big “W”. In our defense, the trees had grown considerably and we really had to seek it out. We sat stooped at the side of the path (it was rather wet) whilst I worked out the co-ordinates of the cache and found that it was only about 265m from where we stood. Off we went at a fast pace – guess who was leading the way – HoneyRobbinn asking me to read out the metres every few paces. Up over another little wooden bridge, through another kissing gate and into a very wet, dewy field and we were at the final Ground Zero. Our little helper immediately looked behind an enormous tree; was a bit put off by the very clever bark-o-flage but soon found the camouflage bag and clip-top box. She was so excited. We were just opening it when the phone rang and it was our two friends from the Isle of Wight on Facetime so we happily showed them our exciting find whilst being extremely pleased to hear from them. HoneyRobbinn chose a marker-pen which didn’t look like a pen at all to swap and we signed the rather wet log book and put it into a dry plastic bag before re-hiding it. We headed back to the car deciding to backtrack a little way (not through the cows thankfully) as it was dryer than going across the fields which were quite sodden and we already had wet shoes and socks. We all really enjoyed the walk which was about 2.5 miles and especially when we came across a heron standing at the edge of the river which was almost as tall as HoneyRobbinn. He stayed still for quite a while and then flew off above us. Now we must plan another trip for next week. This walk took place on Saturday, 10th October 2015 and took our total finds to 426. 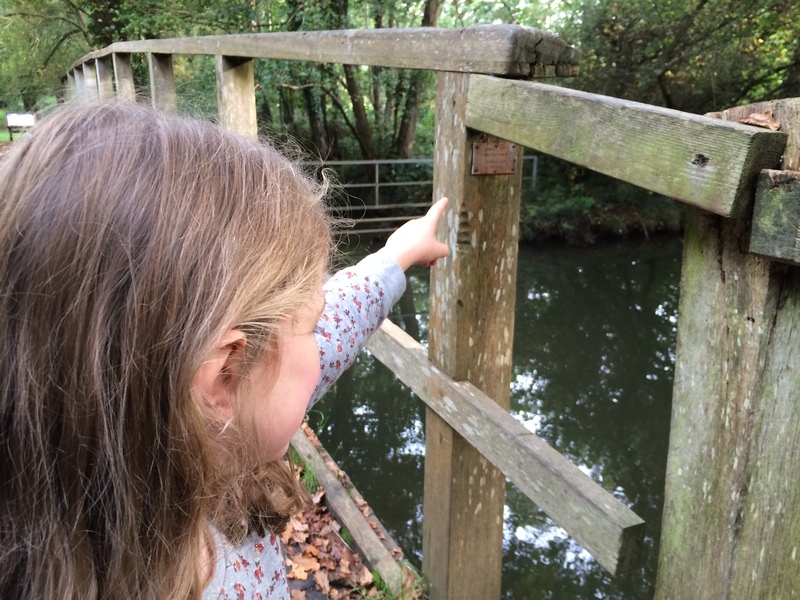 This entry was posted in Camberley, Geocaching, Multi-cache and tagged Blackwater, Camberley, Geocaching, iPhone, Log Book, River, Shepherds Meadows. Bookmark the permalink. What a truly delightful adventure. Made me smile from ear to ear to hear you tell of the enthusiastic exhuberence of little Honey Robbinn. Sound like she is a real star geocacher in the making. Well done. ,I need her to teach me I would be useless at that one! My gang enjoy multis far more than I do, I prefer much more instant gratification with caching. Looks like a wonderful way of getting round the SSSI issue, always places that are well worth exploring. What a great adventure! We’ve not done that multi … we are even closer to it than you are! Sounds fun and because of your excellent writing, we know which way round to undertake the circuit. We normally do that circuit, or something similar at Christmas.. so its pencilled in for then! Perfect walk for Christmas Day. I’ve got a couple of traditional caches close to HoneyRobbinn’s home that I’m leaving for exactly that purpose.